A large database of survey templates has been developed by 1stAssociated and includes every Era from Tudor to present day with each template tailored to the specific Era and its property issues and characteristics. Our Modern Era includes properties from the 1970s/80s to 2000s and has been developed to include many of our survey sketches and building definitions. Our Survey templates include many of our unique survey sketches which have been hand drawn and help to identify property issues or features to ensure our clients are totally informed regarding property matters. 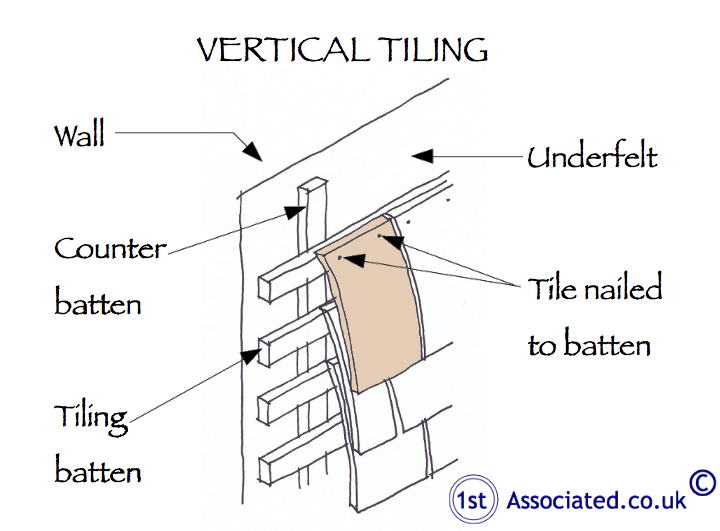 We have a vast database of survey sketches which we include to help our clients understand the property they are considering purchasing such as the adjacent vertical tiling sketch.